To improve athletic performance and reduce glycogen depletion in muscle tissue, the body requires regular intakes of high glygaemic–index carbohydrates. Carbohydrates are the fuel that your body uses during high intensity exercises, therefore making them essential for improved performance and recovery. As the muscle can only store a limited amount of carbohydrates this needs to be at a maximum level before, during and after exercise. 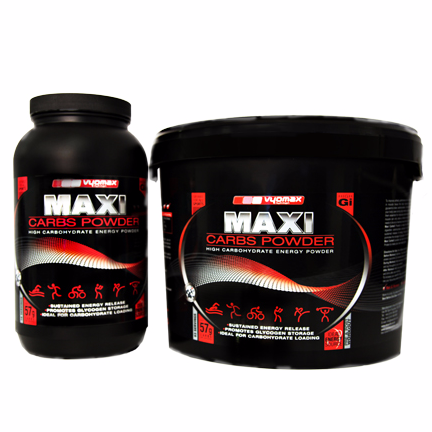 Maxi Carbs® powder can also be added to your favourite protein powder to make your own weight gainer. Before workout: Add two - four scoops to 500ml water, mix in a shake and drink 30 minutes before your workout. During workout: Add one scoop to 500ml water, mix in a shaker and sip throughout your workout. After workout: Add one scoop to 500ml water, mix in a shaker and drink after your workout. To increase your calorie intake, add 2 scoops of Maxi Carbs® powder to your protein powder and mix as usual. This product is not recommended for persons under the age of 16 years, do not take if pregnant or breastfeeding. Keep out of the reach of children. VyoMax® Joint Devil® is the perfect nutritional supplement to help maintain healthy joints and connective tissues. 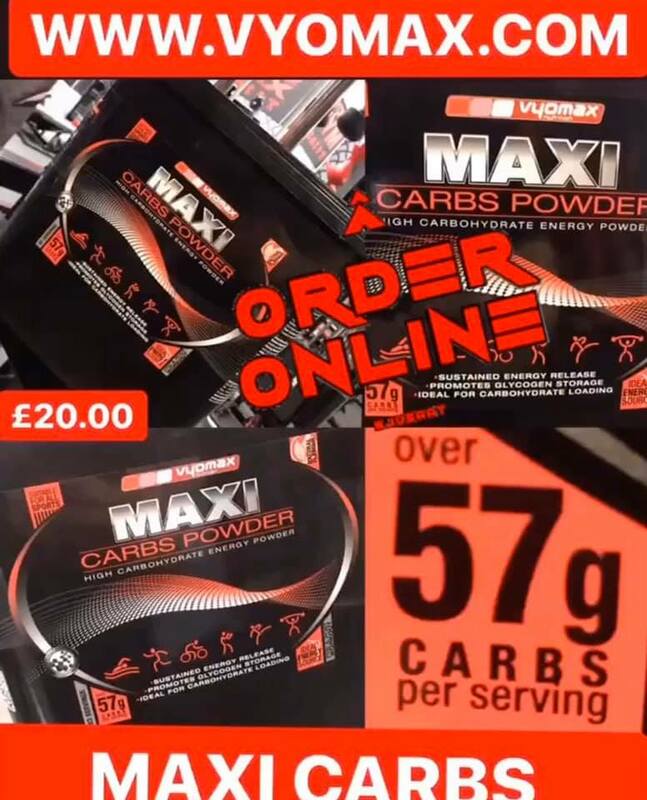 Vyomax® Nutrition's instantised BCAA plus powder formula contains high strength BCAA's, Glutamine & HICA (Leucic Acid) and is a great tasting, easy to mix dynamic amino acid formula with 10,000mg BCAA's, 2000mg Glutamine & 500mg HICA per serving.